By planning your content ahead of time, you can focus on creating content that helps you achieve your goals faster. Posting for the sake of posting simply doesn’t work anymore; there is too much content battling for the same peoples’ attention, so if you want to stand out and actually get ROI from your content, then you need to create the right content and share it at the right time – with the right people. Of course, there can always be changes and surprises; for example, there could be some big news in your industry that you need to talk about on your blog. Or perhaps some unforeseen event shocks the world, which could mean you have to change your tactics. But, generally, it’s quite easy to keep to a clear schedule. And plus, it saves you time. When you know exactly what you’re going to publish and when, you don’t need to constantly scramble to come up with ideas last-minute. If there are any unforeseen circumstances in your schedule that would keep you from content creation, you can rest assured since you’ve planned your content in advance. What are your business and content marketing goals? Before planning any content for your marketing calendar, make a list of your content marketing goals. What do you want to achieve? After all, you’re creating all of this content with a purpose. Think of that purpose – and be very clear about it – so that you can come up with the ideal types of content and content topics that will actually help you reach your goals. If it doesn’t help you achieve any goal, then it’s most likely worth scrapping off your list and coming up with a different idea. Who forms your audience? How much do you truly know about your target audience? Who are they, specifically? Personalization, as I mentioned earlier, is extremely important in the current climate. If you want your audience to actually read/see/hear your content, then you need to give them a reason to: you have to give them content they want to read. And in order to understand what they want to read, you need to understand who they are. Of course, this information needs to be grounded in reality. Your audience is probably formed by quite a few different groups of people, but within these separate groups, they share some similarities. For example, if you were a business consultant, you might target both entrepreneurs who built a business online and small business owners with a physical store. 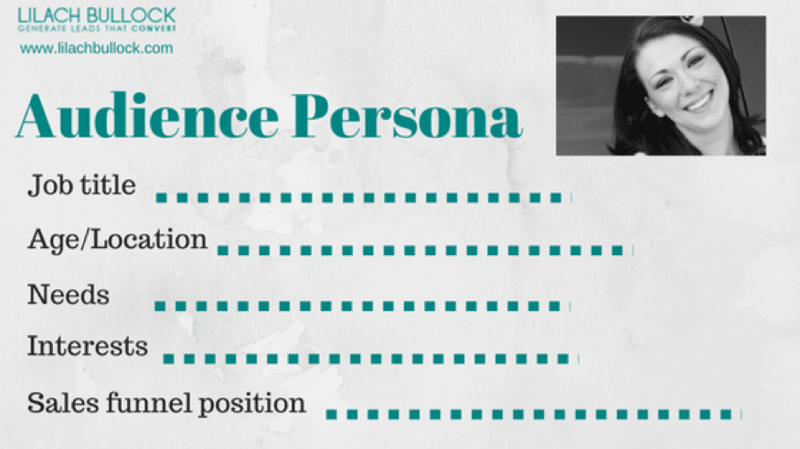 Create personas for each of these groups to help you understand who you’re targeting, and so you can then create content for each of them. This will also help you decide what platforms you should use to reach each audience group and when to publish it. 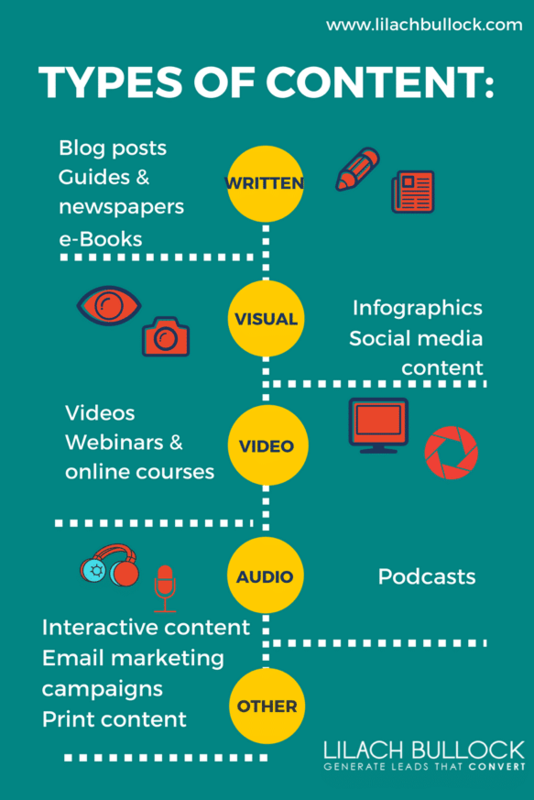 You can also learn a lot by following your niche and understanding what content topics your audience prefers, what content formats they use the most (video, blog post, and so on), and what channels they’re on. Ideally, you should subscribe to multiple publications (blogs and news sources), as well as follow relevant thought leaders in your industry, so that you can always keep up to date with the latest news and developments, as well as to keep an eye on what content your competitors and other content creators in your niche are publishing. Most importantly, focus on what content works best, whether it’s blogging or social media. What blog posts get the most readers, the most shares, the most comments? What social media updates get people to take action? Buzzsumo, for researching the content in your niche: which posts get the most attention on social media, the most shares, etc. What types of content will you publish? Put together a list of all the different types of content you plan to create this year. It’s always a good idea to diversify and offer different types of content. And any other important date you can think of that might impact your content. This way, you’re very clear on what days you need to create specific content. So, you’ve downloaded the free content marketing template (if you haven’t yet, what are you waiting for?). To get started, simply copy and paste the content type you want from the bottom of the calendar and add it to the corresponding day. Next to it, you can specify what campaign it’s part of (lead generation, traffic generation, conversion, engagement, promotional, etc. ), as well as write down who is in charge of creating the content, when the deadline is, and add any other notes that are relevant. Then, simply rinse and repeat: put together as much of your content marketing calendar as you can for each month – it’s that easy. It’s also important to be specific; establish exactly who does what and by when, otherwise, chances are, it won’t get done. It’s always so much easier to stick to a schedule when you actually have a schedule – otherwise, you’re likely to put things off and only create content when you have some time. You don’t need to come up with every headline for the year in one go; however, it’s definitely a good idea to plan your content in advance, at least a month if not more for big projects. Having your own marketing calendar and blogging schedule is super important for your success. I do the same. I like to plan ahead and have a schedule that I can follow. I treat this (my blogging) as a real business because it really is. It is very important that you also work on truly understanding your target audience in your niche. This is where you should create a persona or avatar and really think about what exactly they need and how you can help them! hey Freddy, what’s the challenge with a marketing calendar in your opinion or experience? Content marketing is still and will always remain one of the best marketing strategies on the internet. This is because once adequately planned, and properly executed, content marketing can take a business from zero to six figures. And like this post shows, it all starts from creating an effective content marketing calendar. Unfortunately, this is one thing that most people often ignore or neglects. It all starts from knowing exactly what you want to achieve with your content (your goal), and then figuring out who your target audience are like you rightly said. With content marketing, you can’t be targeting everyone at the same time and expect to be successful, this is because when you’re targeting everyone, you’re typically targeting no one. It is, therefore, very important to always know exactly who you’re writing for, and what challenges they are facing. 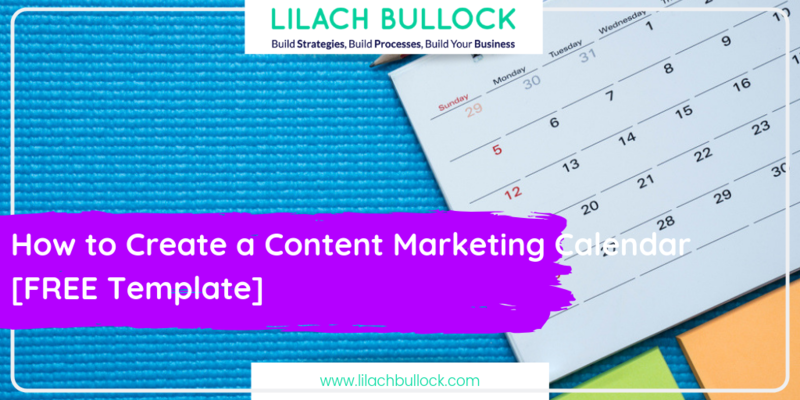 Finally, creating a good content marketing calendar is very important to the successful of any content marketing campaign. Without it, you’ll only be going blindly without any purpose and target. Nice to be here on your space. You article is incredibly amazing. From the why you need a content calendar to how to create and use a content calendar. One could not ask for more because you got it all covered. However, it is a good rule of thumb to be able to set goals you want to achieve that are attainable and follow through with your established goals. Then identify your target market and what types of content they love to read as well as the issues they’re trying to solve. These are possible by studying the market-place – your competitors, and the use of tools such and Google analytics, Quora, etc. These will help your pinpoint what’s happening in your niche market, and with the information you can create a profound content calendar that will help you be productive and at the same time consistently create content that are tailored to the needs of your audience. Thanks Moss, I appreciate you taking the time to comment 🙂 I think it’s a great idea to set goals but would always recommend that they are out of your comfort zone. Setting attainable goals doesn’t help you grow a successful business. As entrepreneurs we need to constantly be pushing ourselves and be out of our comfort zone. Wow, Its very good idea for manage our contnet posting work. Thank you lilach for this great idea. wow these tips are really awesome really love your post. Out standing content and thanks for the template. Looking forward to your next tips and blog posts. Wow this is very informative blog for us. Your post is amazing since it covered how to create content marketing calendar to how to plan. This action plan will definitely help you reach your target audience by understanding their requirements. Looking forward to read few more posts from you. Wowww awesome guide on content marketing calendar. Wonderful post! Exactly what i looking for.